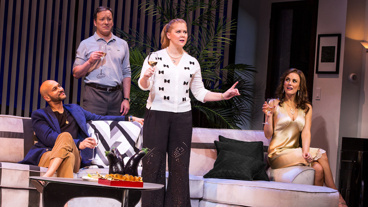 Amy Schumer makes her Broadway debut in Steve Martin's new comedy. It’s a hot night in Ojai, California, and Corky and her husband Norm are having another couple over for dinner. But Laura and Gerald aren't looking for a casual evening of polite small talk with new friends. 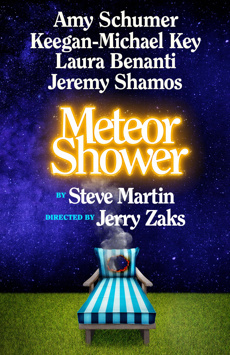 Eventually, the two couples find themselves in a marital free-fall matched in velocity and peril only by the smoldering space rocks tearing through the sky.